Picture this; you are sailing in the Floridian waters, sipping a glass of expensive wine with your spouse and watching the sun sink in the distant horizon. You watch the dolphins do their thing and the world, at this particular moment, feels like the best place to be. Now snap out of your imagination and read through this article for in Disney’s Yacht Club Resort, this imagination will become a reality. The resort is located on the lakeside and boasts inviting, plush nautical touches that are very rare. 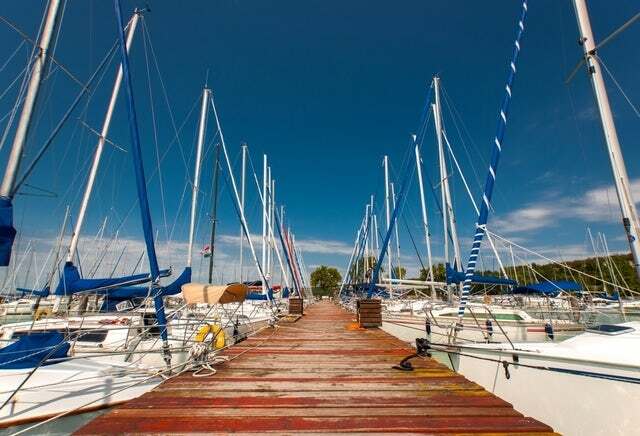 The yacht club allows its guest to sail and explore the Stomalong Bay using the watercrafts docked at its Bayside Marina. Oh, and the story gets better…the club has a sister – the Disney’s Beach Club Resort with whom it shares all the facilities. It is just a walking distance from Epcot and a boat ride away from Disney’s Hollywood Studios. Standard View - This offers the views of the garden, rooftop or parking area. It will cost you US$356 and can host up to 5 adults. Ask yourself this; what is $356 divided among 5 adults and you will see just how affordable this can be. Lagoon or Pool View - This offers the lagoon view and goes for about US$443. It is also able to host 5 adults. Garden View Club Level - This costs US$508 and offers the great views of the garden. It can host up to 4 adults. Deluxe Room Club Level - In this room, you will see all the Stormalong Bay lagoons. It costs US$686 and 4 adults can sleep there. 2 Bedroom Suite-Club Level - For this comfortable accommodation, you will pay US$1499 and host up to 4 adults. Amenities that the guests at this resort enjoy include; Disney Bus Transportation, Wi-Fi Internet, parking, valet parking, ATM, Resort Airline Check-in, banking, child services, designated smoking area, laundry and cleaning services, concierge services and many more. Like all Disney resorts, The Disney's Yacht Club Resort offers various options of dining, depending on the needs of the guest. For fine dining, you are well advised to try Yachtsman Steakhouse. Here, you will get the tastiest cut meat in Florida. For casual dining with friends, try out Ale & Compass Lounge, Crew's Cup Lounge, or Martha's Vineyard. They will not disappoint. If you are looking to grab a quick bite, then Beach Club Marketplace and Hurricane Hanna's Grill will suffice. Of course if you want to stay indoors and get some room service, the resort offers a 24-hour in-room service. Among the recreational facilities that are at the resort's guests' disposal include swimming pools, Fantasia Gardens and Fairways Miniature Golf, Pirate Adventure Cruises, Sand Castle Club, Movie under the Stars, Motorized Boat Rentals etc. All these facilities are used in such fun activities as fishing, playing tennis, camping, beach volleyball, hiking, golfing, sightseeing etc. This sounds fantastic, right? I know. Why don't you contact us today and we will get you packing?